An Irish breed, imported to Argentina in the 1920s. 2-year old cows, which roamed freely in open fields, giving their meat low fat and cholesterol content. A central European breed. 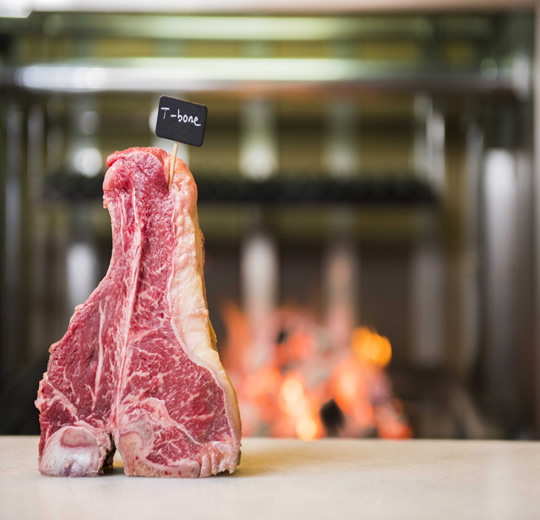 8-year old cattle, which in their youth are used for milking and subsequently fattened to attain excellent, flavoursome meats due to fat marbling. 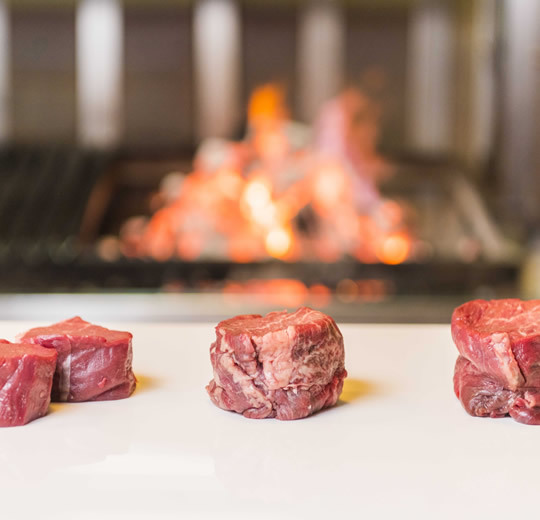 At Casa Paloma, meat is matured for between 21 and 60 days. 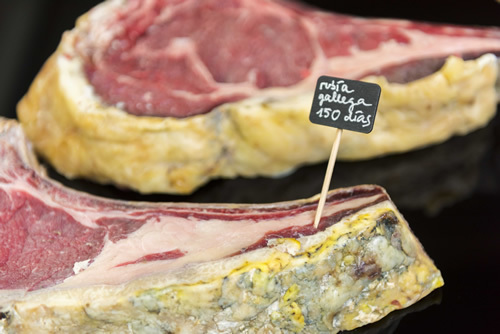 A Galician breed, with a strong flavour. Its meats are cherry coloured and with a thick layer of buttery fat. 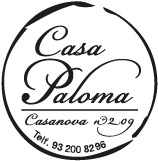 At Casa Paloma, we understand that this requires a lengthy, 120-days maturing process. Long-lived male animals, castrated young. Used for working in fields and in their later years, have a king-like body. 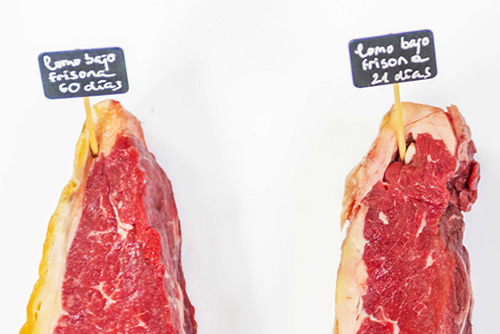 At Casa Paloma, we work alongside Cárnicas Lyo, who find Galicia’s finest oxen, slaughtered in A Coruña. 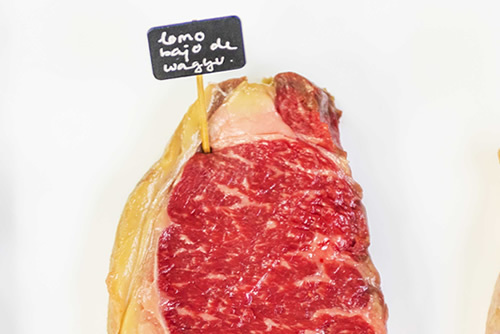 Complex meat, with hints of dry fruits and dairy products due to a lengthy maturing process (270 days). 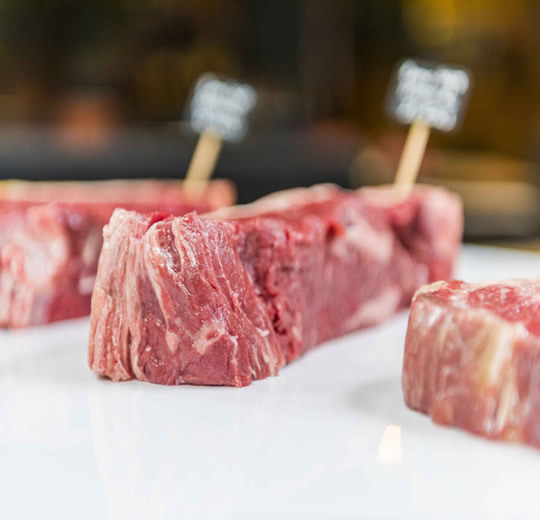 Wagyu (“Japanese cattle”) is an ancient, well-bred variety of cattle. 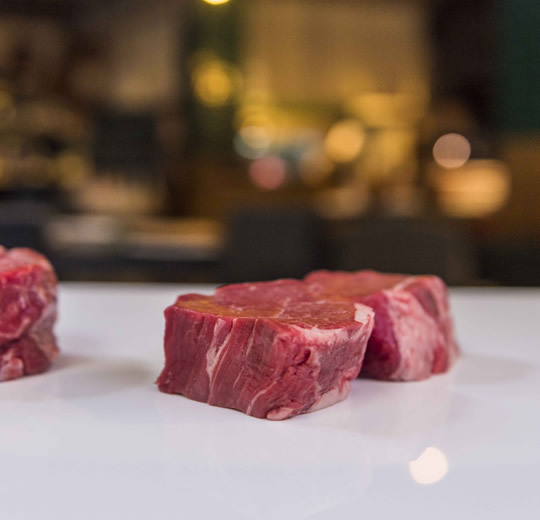 Also known as Kobe Beef, one of its features is the marbling of the meats (intramuscular fatty infiltration), which produces an extraordinarily flavoursome meat due to its taste, texture and juices. Cut located in the lower part of the animal’s topside, one of the most highly valued. Front part of the steak, deboned, without ribs and backbone. 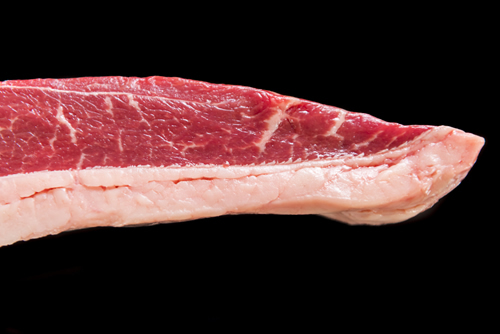 Rear cut of the steak – the narrow part without loin ribs. Brazilian cut, located on the upper part of the hindquarters. The ribeye with ribs and backbone. Bone marrow, located inside the bone – delicious, oily and rich in nutrients. Recovering “the art of tartar” is one of our raisons d’être. 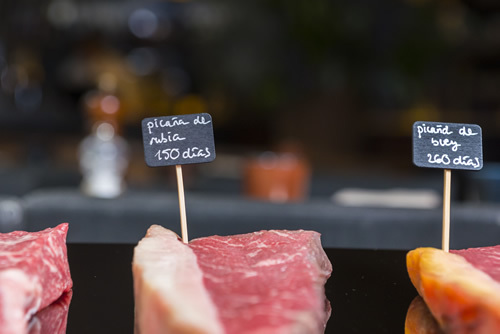 At Casa Paloma, we make steak, tuna and salmon tartars. Also in front of diners and to their taste. We cut the steak with a knife. Add salt and pepper, and a few drops of tabasco, Lea & Perrins, olive oil, camomile. And just the right amount of dressing: anchovy eggs, onion, pickles and capers, tomato and Dijon mustard. The diner tries the tartar and we adjust the spice and zest to suit.